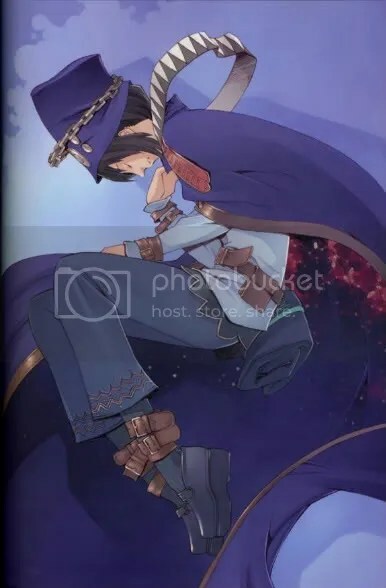 If you still don’t know, I am an insanely huge fan of the light novel Boogiepop and Others. I like this novel more than anything else – anime, movies, manga, anything. If I had to recommend one thing to everyone I’ve ever met, it would be to read Boogiepop and Others… at least 3 times, because any less and you didn’t catch everything, and even then you should probably read it a few more times. It won’t be hard, the book can’t possibly take more than 2 hours to read. I re-read it for the 10th or so time today, after it’d been quite a while – a couple years ago it took me a lot longer to muscle through the volume, but now it’s like a breeze even though I’m a slow reader. Probably helps that I know the book like the back of my damn hand. I can’t recite it yet, but I do always know what hte next line will be. Even now, there are a few things in there I still catch that I hadn’t before, even if it’s totally miniscule moments. The fact that I do catch them, though, furthers my desire for rewatching some of the anime that I don’t think I’ve grasped fully yet (caughLaincaugh). But I digress.